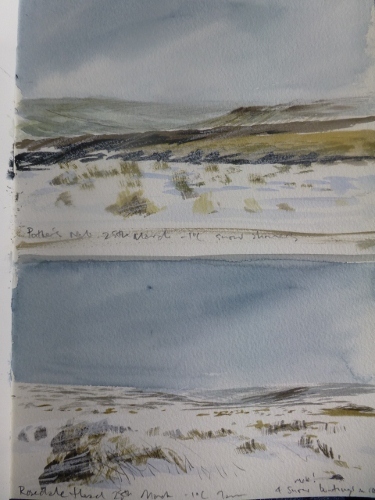 These are watercolour sketches made on the moors yesterday. I relish the challenge and experience of sketching in cold weather and find the experience far more exciting than painting in the studio. 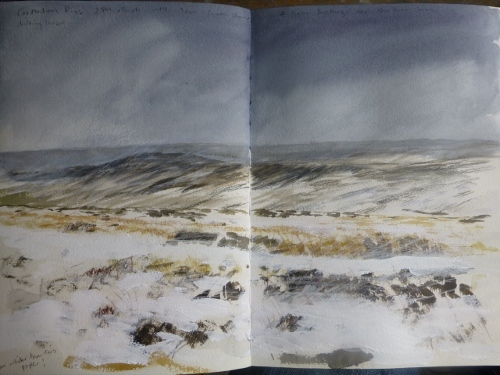 The snow showers were almost constant during my time on the moors yesterday morning, snow blowing horizontally with drifting of lying snow.